Here we are, eventually the contest has come to an end and after a short consultation we have chosen the winners! Before announcing them, a few words. First of all, thanks to everyone who submitted his contribution. All the works reviewed are great and must be praised, because they represent without exception a hard work, lot of passion and much time spent by the authors. Above all they are the expression of our beliefs: open hardware, open electronics and pioneering spirit are the heart of innovation, let’s go further guys! 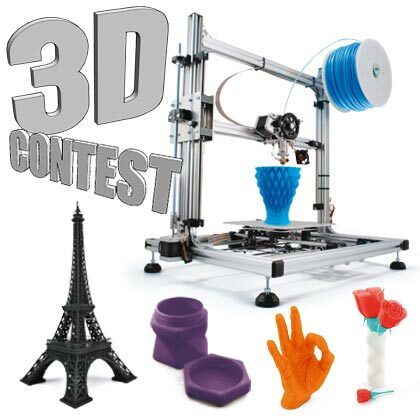 The winners of this edition of the Contest have been selected taking into account not only 3D printers aesthetic improvements but mainly rewarding their contribution to extend 3D printer function or to apply 3D printing concepts to new implementations. The winner is Karl Seiss, that has built a really complete system to turn his 3Drag/K8200 to a CNC drilling and milling machine. But the most catching hack is, in our opinion, the implementation of the vacuum plate support. This kind of plate is usually seen only on very expensive professional CNC machines and gives a true advantage to working area stability. Well done Karl! 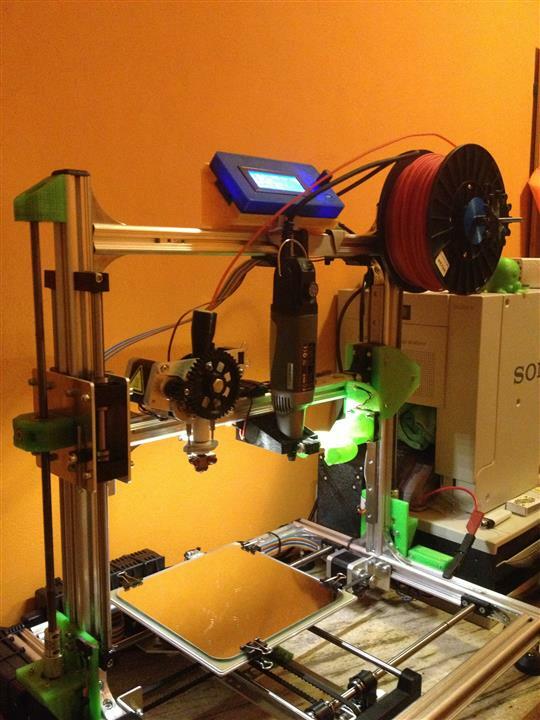 Here the winner is Giacomo Falaschi, with his Falla3D printer. Giacomo, starting from a Mondrian 3D printer model, deeply modified it by adding a magnetic levitation system to guides and supports. As a result, this printer is faster and more accurate (better resolution and quieter) than its original model and the wearing of nylon rails is near to zero. 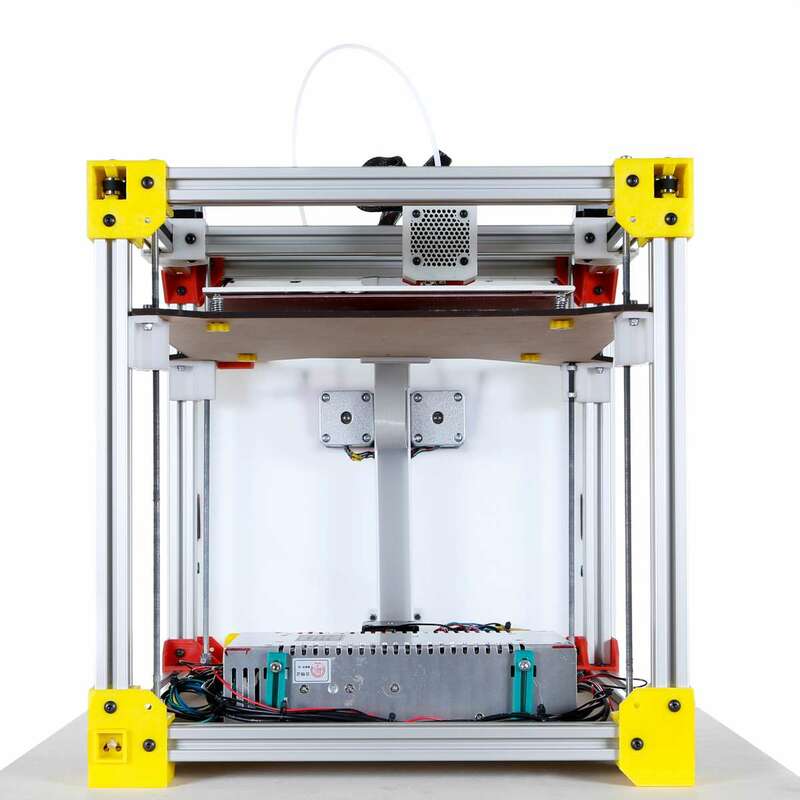 Also, this printer has been designed with the contribution of RomaMakers FabLab, Contea FabLab and Cascina FabLab, strengthening the cooperation of those important entities in Italy, that worked together like a real “liquid” company to bring innovation and making directly among people. Unfortunately, for the category “Not only FDM 3D printer” we didn’t receive any contribution. The reason is obviously that while the FDM technology is patent-free since 2009, thus very cheap and widely spread in makers labs all over the world, the other technologies (i.e. SLS) are still covered by patents. But things are quickly changing! In fact by the end of 2013 the main patent (US patent number 5,597,589) that was locking the chance to have a cheap SLS desktop printer has expired, allowing anyone to start approaching in an open hardware point of view this very interesting family of printers. SLS technology is the main one used to print metal objects, while for this purpose the FDM technology is inadequate (even if metal objects can be printed with some primitive workarounds). On one side we are expecting to see again what happened when in 2009 expired the US patent 5,121,239, exactly 20 years after that Stratasys filed it covering the main principles of FDM system. In this 5 years span, domestic 3D FDM printers had a very wide spread, starting from a price point of about $15,000 to the lowest $400 of nowadays. On the other side, SLS technology is more complex and it could be dangerous for the “common” user. This kind of printer uses a powerful laser (that can seriously harm a human being that enters in contact with it) and other technologies (vacuum chambers, hydraulic systems to manage primers and powders) not really “user friendly”. Again, aluminum melts at around 700°C: does you oven reach that temperature? We have also concerns about safety of materials used and emissions of dangerous substances from the process. Another factor that could slow down the development of cheap SLS printers is that the main 3D Printers producers have been very prolific in patenting more and more aspects of the process and printer itself (while the FDM is definitely simpler and made of less parts), so it could be very time consuming for an open hardware community to search all the existing patents to avoid their infringement. But we are eager to see what will happen in the next 5 years, and we are sure that the open hardware and the Makers momentum couldn’t be stopped so easily! If you are working to a non FDM printer, stay tuned! We will launch soon a new dedicated contest, you can submit your project here!